you need to keep proportions in mind. 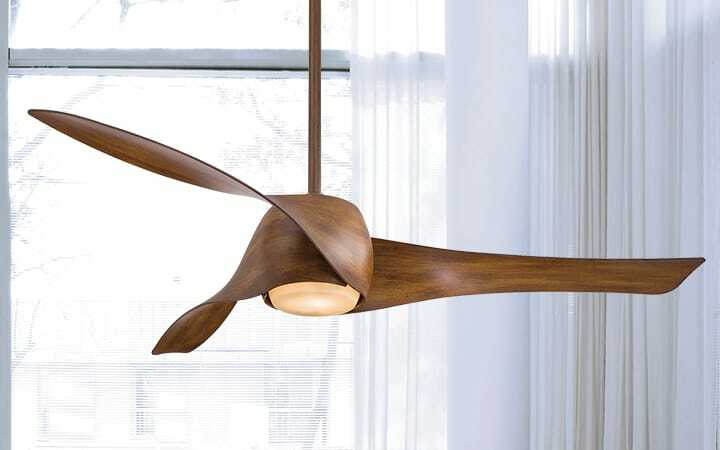 Ceiling fans come in a wide range of blade spans, from small mini fans with a blade span of 18 inches up to large ceiling fans with a 68-inch blade span...and beyond (we even offer fans with an expansive 99-inch blade span!). Choosing the right ceiling fan size will optimize the fan's efficiency and make the fan look right at home in the space. 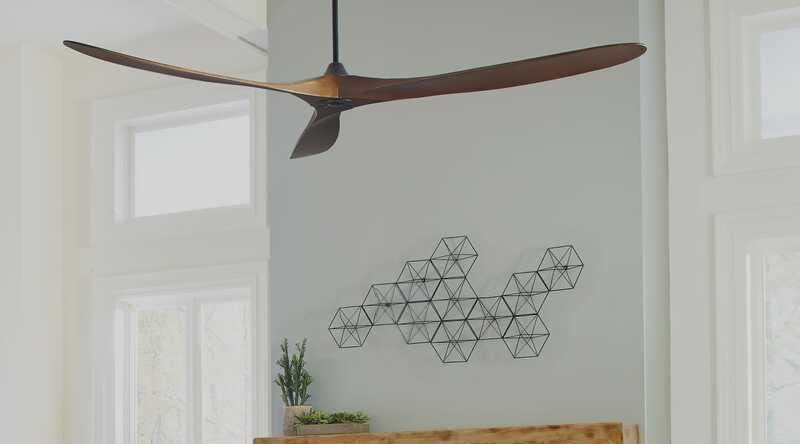 Ceiling fans are measured by the full size of their blade span (also called blade sweep), which is the diameter of the circle that you see when the fan blades are in motion. Or, in other words, fan blade span reaches from the tip of one fan blade to the tip of the blade directly across. Depending on the height between the floor and your ceiling, you'll have a different selection of fans to choose from. 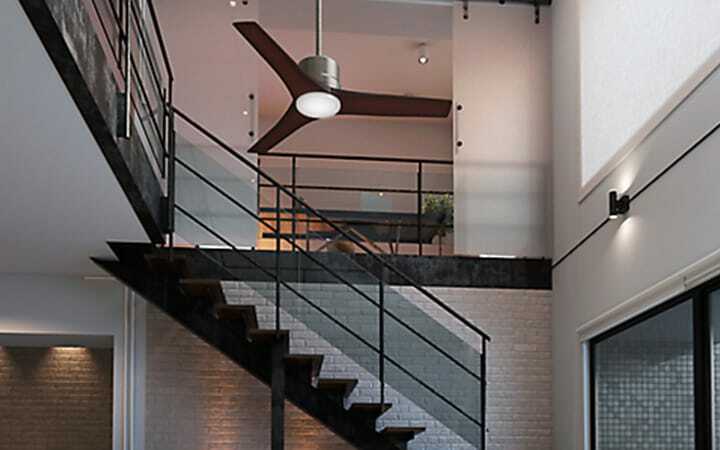 For rooms with tall ceilings, you need to choose a fan that uses a downrod to suspend it far from the ceiling. For adequate air circulation, the fan blades should hang 8 inches or more from the ceiling. For safety, the bottom of the fan needs to be at least 7 feet above the floor. Conversely, spaces in the home with limited ceiling-to-floor height (think bedrooms, offices, breakfast nooks, etc.) require a low profile or flushmount ceiling fan. These fans hug the ceiling and won't hang too low. 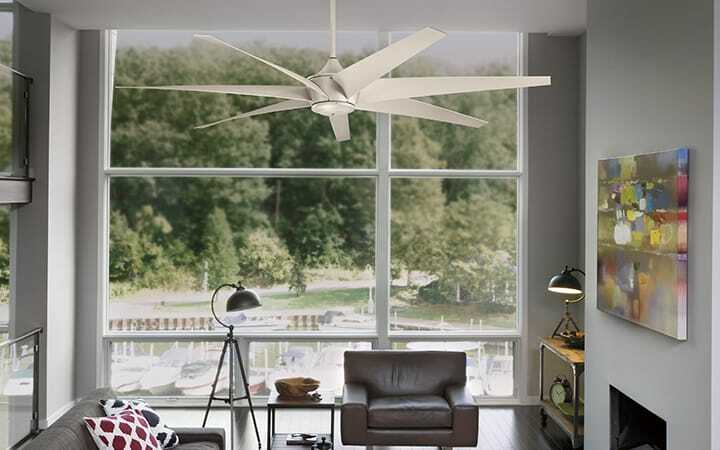 Most ceiling fan sizes are also determined by the room they will be placed in. For example, a kitchen ceiling fan will be much smaller in blade diameter and length than a ceiling fan for the living room. Use the ceiling fan size chart below to get the best idea of what size you need. As always, make sure you properly measure the area where you will be placing your fan to make the best purchase decision.